Each novel represented a different challenge to write. 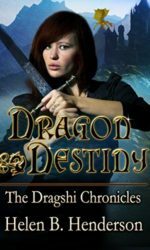 For Dragon Destiny it was aging Anastasia from a young woman to an adult. 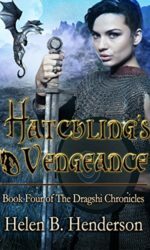 Hatchlings Curse followed her through adulthood. 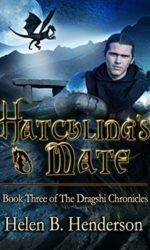 Which brings us to the third book in the chronicles, Hatchling’s Mate. In the first two books, I thought I knew who would end up together in the final scene. One proved correct, the other didn’t. In Hatchling’s Mate, there were two love interests. Add in different levels of status, the self-doubt that comes with not being able to meet other’s expectations, stir in mystery and a secret and the story took off. The greatest challenge in writing Hatchling’s Mate pertained to the secret Glyn held. At least one person had to uncover the secret, which led to the ‘who’ and the bigger question of their reactions. My first drafts are a combination of storyboard and narrative, and the path unveils itself, but not in this case. Even though I had control of the foreshadow button, I was taken by surprise when the story unfolded. And an even greater surprise? 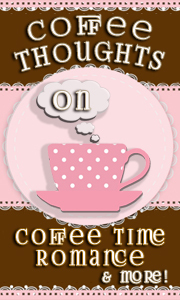 When I went back and reviewed the storyline, I discovered the amount of clues that had been set up in the story without conscious control of the author. Don’t let anyone tell you characters never take control.